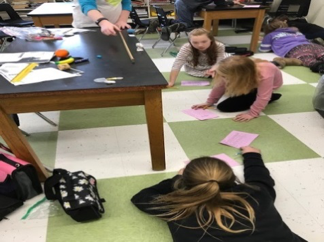 Last month, Mrs.Maroon’s 5th-grade science classes completed a mini-lesson on gravity by conducting an experiment. They brought in items from home and pushed them off the table to determine which item hits the floor first. Discussion of air resistance followed.